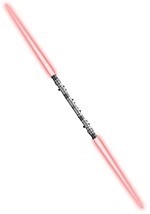 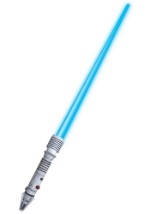 Get an officially licensed Star Wars Clone Wars costume accessory with our Ahsoka lightsaber. 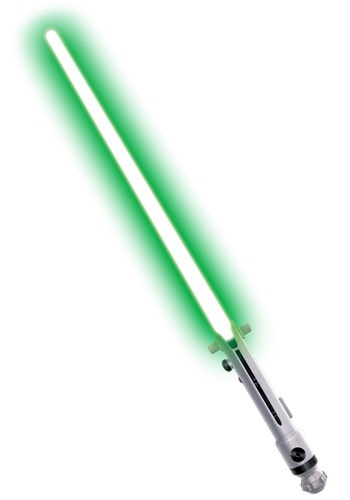 The green blade extends nearly 3 feet out of the unique hilt that is modeled after the one in the Clone Wars movie. 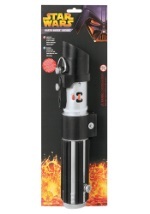 The blade lights up when you flip the "on" switch (requires two AAA batteries - not included). Add this to our Ahsoka Tano Headdress and costume and you'll be one dangerous Padawan!